Tampa rallies against mosque attack | Fight Back! 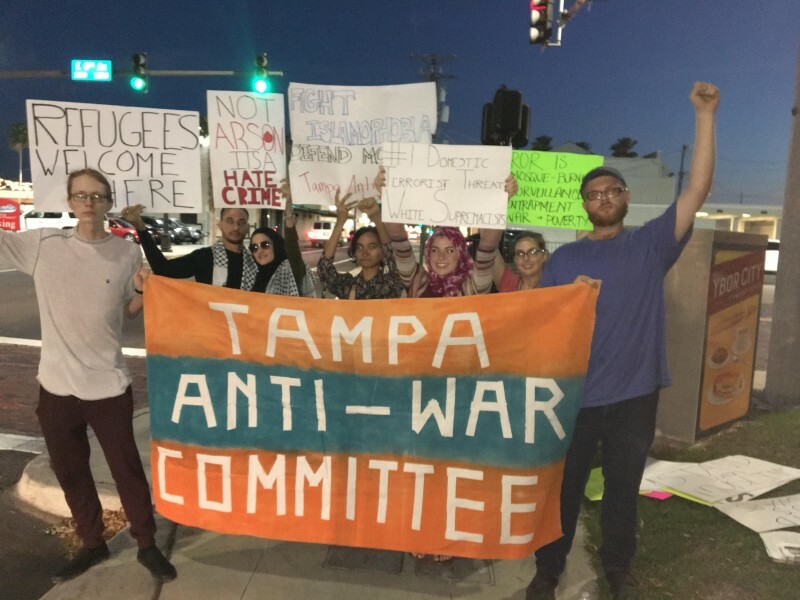 Tampa, FL - On March 10, a small group of dedicated activists came together to stand against the recent firebombing of a local mosque. The Islamic Society of New Tampa was the victim of an Islamophobic arson on Feb. 24, the sixth since last year. The link between the election of Donald Trump and the sharp rise in Islamophobic attacks is very clear. As the Trump administration continues to push hate-filled rhetoric and policies which attack Muslim-Americans, racists and fascists are emboldened. 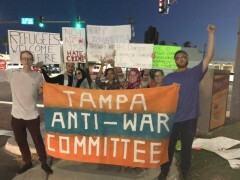 The Tampa Anti-War Committee will continue to organize around this and make sure justice is served.